During the cold winter months, it's hard to be cooped up in the house all day. The kids get antsy and you get antsy! When the temperature drops and you want to trek down the street to a cafe, the library, or to a play-date, you figure you should just take the car even though you're only going a few blocks. After all, it's chilly!! 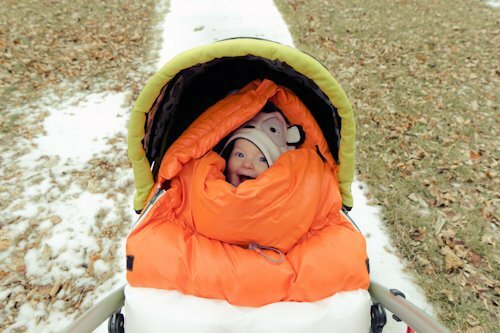 You can bundle yourself up easily and brave the cold but how difficult does it sound to stuff your little one into a pile of winter gear and then strap them into the stroller? And then un-bundle them when you arrive at your destination a couple of blocks away? 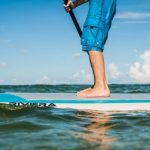 It just became possible, easier, and really cool! And by cool, we mean warm. Really, really warm. 7A.M. 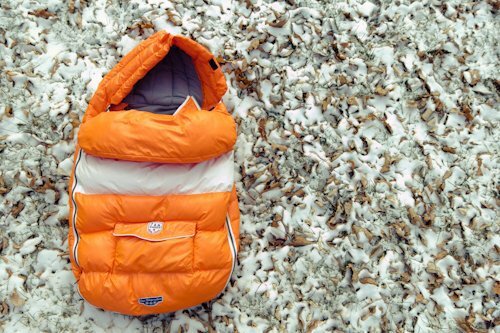 Enfant has dreamed up the most warm, fluffy and well designed winter baby gear imaginable. You will truly wish these things came in your size! 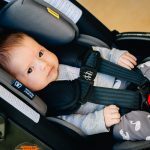 The Baby Shield attaches onto the stroller simply with Velcro openings and straps. It has interchangeable zip-on layers; one thick layer for colder days and a thin layer for lightly chilly fall or spring days. They're lined with fleece to be warm and cozy for baby to use even as a car seat blanket when detached! Elastic drawstrings pull tight to keep the shield snug around baby and retain body heat. Water repellent outer fabric keeps baby warm and dry in light snow or if it starts to sprinkle before you can get inside. Faux down filling is light and puffy to retain baby's body heat. Lined with super soft micro fleece keeps baby cozy, warm and dry. Non-slip material on the back helps to keep the Baby Shield in place on the stroller (on top of being secured by Velcro straps!). 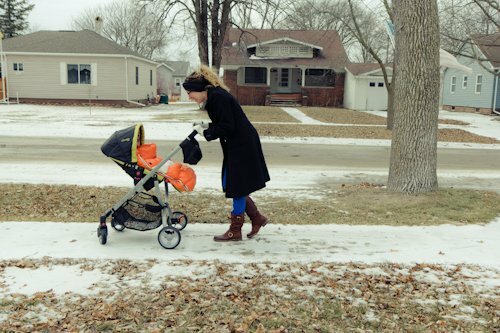 Although walking with your stroller through a snowstorm sounds out of the question, using the Baby Shield makes it possible to take baby out for a walk as soon as sidewalks have cleared. 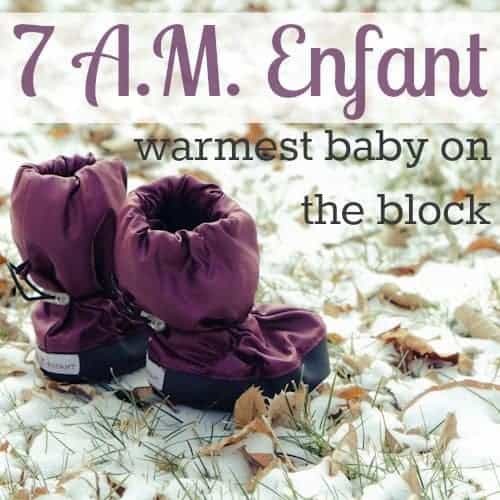 If it is weather you could stand to go for a walk in, then baby will be plenty warm in the Baby Shield! 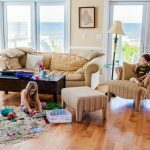 The lighter spring layer is perfect for days in fall or spring when there is a chill in the air and you would typically cover baby in a blanket. Those never seem to stay on, especially if you live in a windy area! 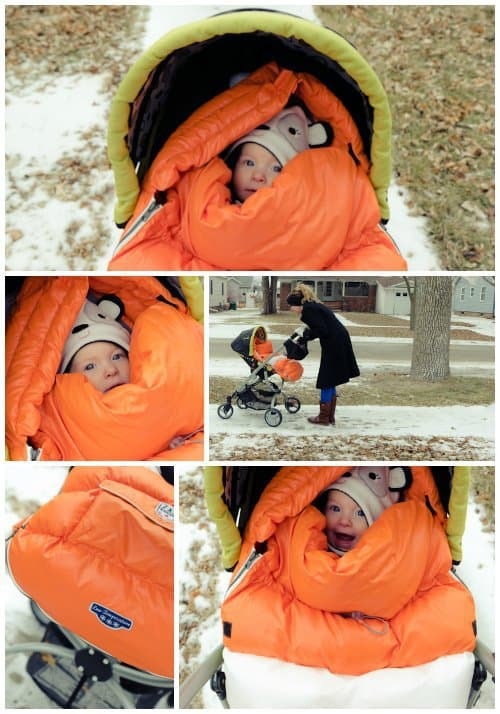 Snuggle baby into the Baby Shield and get out for some winter exercise to beat the cabin fever. 7A.M. 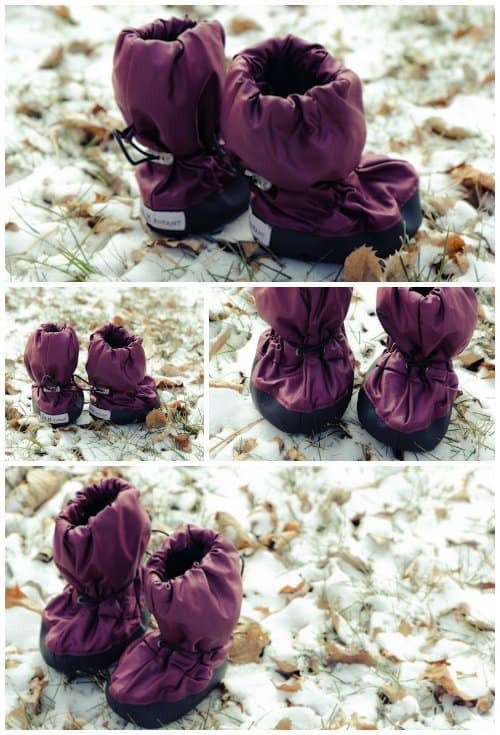 Enfant also saves the chilly day with winter weather accessories, like these compliment-worthy (seriously!) Booties designed as soft soled for pre-walkers. 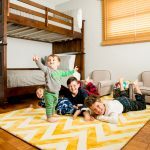 They have the same great heat retaining and moisture repelling qualities as the Baby Shield but made for tiny feet! They're incredibly warm, easy to put on and take off, and stay put on the feet with the use of elastic drawstrings. You no longer need to be afraid of winter and you can finally leave the house warm and confident! Check out 7A.M. 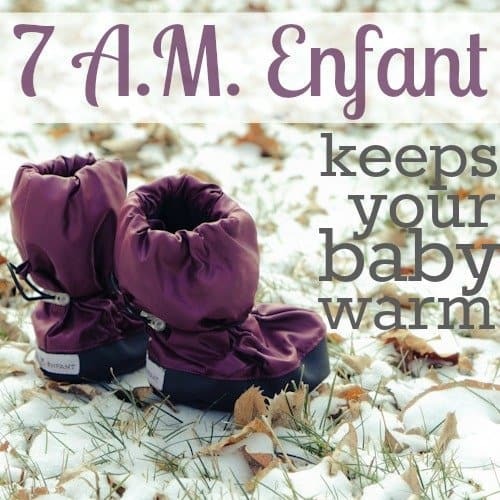 Enfant for more ways to stay warm! Best of all? 7A.M. 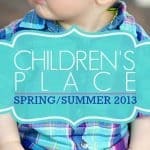 Enfant is participating in Daily Mom’s 50 Days of Giveaways! 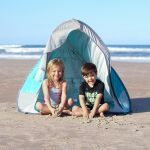 One lucky reader will win a Le Sac Igloo! 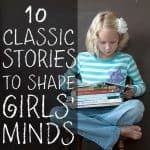 For more of our favorite products browse our DISCOVER category!